You also have internal issues like your employee’s motivation and productivity, on-going problems of customer demand that cannot be met without ramping up, according to your operations manager. When the volume is turned up a notch, all sorts of other issues pop up such as an increase of errors leading to rework with a significant increase of cost, need for overtime, staff out sick more than usual and a higher attrition rate, to name but a few. Implementing Lean is a massive undertaking. I’ve got news for you: Lean is NOT a quick fix. Partly because of this, organisations who use Lean, are focusing on the tools they feel will provide the greatest benefits in the shortest space of time. Watering down Lean by focusing on tools brings with it a different set of issues, but is that such a bad thing? 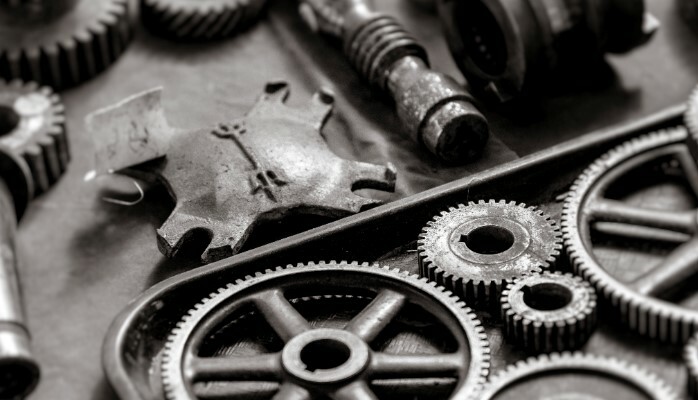 Very few western organisations understand that Lean requires a completely different set of expectations, practices and norms, the organisational structure must change, performance metrics must change, above all Lean requires a change in behaviour, not just for one day, but every day, every hour, every minute. That is a big ask for your operators and they soon revert back to the per-deployment state. Should we ignore it all together? Not at all! We use it in ‘Lean Six Sigma’, where –in our western world – it plays an important role. Lean and Six Sigma are efficiency and effectiveness combined. It is a great marriage. Deploy Six Sigma in the right place, and you will see bottom line improvements and customer experience improvements. The Lean tool set that everyone is so enthusiastic about is deployed early on in a Lean Six Sigma project and helps to get rid of waste in the process, increase flow and process efficiency, and eliminate non-value-add activities. Six Sigma increases effectiveness and, helps to reduce variation and defects. Since there is a ‘control phase’ at the end of the project methodology DMAIC (Define, Measure, Analyse, Improve, Control), you sustain your improvements. Because you offer a learning path in many stages up to Black Belt, your employees will enjoy that journey and join you in your endeavours to make improvements. Where is the right place to deploy Lean Six Sigma? We look and find the weakest link utilising the Theory of Constraints and then deploy DMAIC methodology. When the weakest link (C) has been fixed, another one (B) becomes visible and we go and fix that one… and so on. That is true continuous improvement aiming for perfection. Continuous Improvement helps you and your organisation to stay ahead of deterioration and will render quantifiable results in a short time and long term if on-going Kaizen Events are planned. 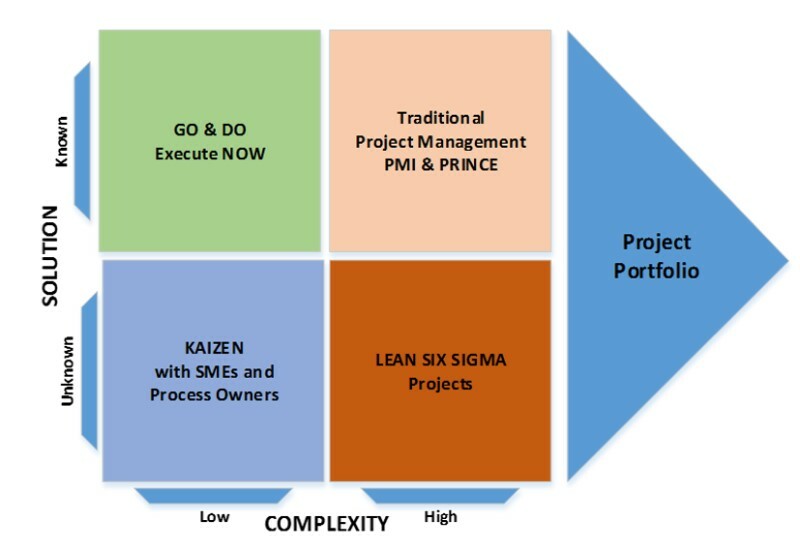 When to use Lean Six Sigma? There is still a misunderstanding when it comes to deploying PMBoK or Prince2 or Lean Six Sigma Projects. PMBoK and Prince 2 are very well established. Those methodologies are mainly used when we know what the solution is. However Lean Six Sigma is deployed when we do not know what the solution is. Because of its strong focus on understanding the problem and then finding the root cause and the use of data in the analysis, Lean Six Sigma plays an important role in the well being of an organisation. We use Lean within Lean Six Sigma Process Improvement projects to make sure we cut unnecessary costs as a direct result of waste and delays. The Lean savings of cost cutting can be booked to the bottom line and the advantages of waste elimination and increase flow will become clearer in the long run. Six Sigma will help you to fix the problem and the cost reduction arising from that effort can also be booked to the bottom line. 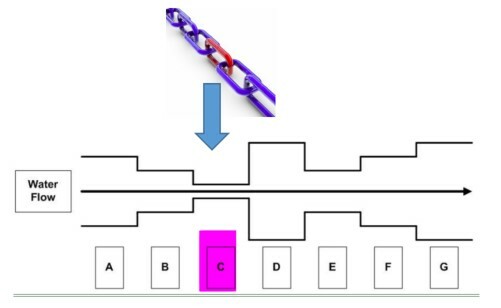 Six Sigma improvements are more focused on the weakest link at the micro level and, after eliminating the root causes, improvements are immediate. It is the philosophy that’s key, not just the tools.